Bo Gustaf Einarsson, born 15 July 1939 in Lidköping, Sweden. 1962	Civ. ing. (M. Sc. Techn. in Physics), Chalmers University of Technology, Gothenburg, Sweden. Thesis: On the space-, time-, energy distribution of neutrons from a pulsed plane source. 1966	Tekn. lic. in	Numerical Analysis, Chalmers University of Technology, Gothenburg, Sweden. Thesis: Differential Equations in Banach Space with Applications to Primary Creep. 1971 Tekn. dr. (Dr. Techn. in Information Processing), Royal Institute of Technology, Stockholm, Sweden. Thesis: On the Numerical Treatment of some Integro-Differential Equations, Fourier Integrals, and Integral Equations. 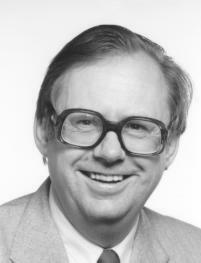 1986 Docent (Associate Professor in Numerical Software), Linköping University, Linköping, Sweden. Lecture in Swedish: Numerisk programvara och programmering i blandade programspråk. Proving Grounds, National Defense Research Institute, Tumba, Sweden. National Defense Research Institute, Umeå, Sweden. Grant from the Sweden-America Foundation for studies in the United States; October 4, 1976 to May 6, 1977. Computer Science Department, University of Colorado, Boulder, Colorado, USA. Department of Electrical Engineering and Computer Sciences, University of California, Berkeley, California, USA. Mathematics Research Center, Madison, Wisconsin, USA. Mathematics and Computer Science Division, Argonne National Laboratory, Argonne, Illinois, USA. Research Grant for visit to China; November 14 to December 3, 1984. Research Grant for visit to China; May 21 to June 10, 1989. The International Federation for Information Processing: "The Silver Core", Dublin, Ireland, 1986. 1971-1974,	Member,	Printing and Mailing Committee, IFIP Congress 74, Stockholm, Sweden. 1972-1974,	Chairman,	Organizing Committee, Working Group on Numerical Program Libraries. 1974-present,	Member,	IFIP Working Group on Numerical Software (WG 2.5). 1974-1978,	Vice Chairman,	WG 2.5. 1975-1978,	Member,	Programme Committee, IFIP TC 2 Working Conference "Performance Evaluation of Numerical Software", Baden, Austria, 11-15 December 1978. 1980-1984,	Chairman,	Local Arrangements Committee, IFIP TC 2 Working Conference "PDE Software: Modules, Interfaces and Systems", Söderköping, Sweden, 22-26 August 1983. 1982-present,	Member and Past Chairman,	WG 2.5 subcommittee on Mixed Language Programming. 1984-1988,	Member,	Programme Committee, IFIP TC 2 Working Conference "Aspects of Computation on Asynchronous Parallel Processors", Stanford, California, 22-26 August 1988. 1988-1991,	Chairman,	IFIP TC 2 Working Conference "Programming Environments for High-Level Scientific Problem Solving", Karlsruhe, Germany, 23 - 27 September 1991. 1994-1996,	Member,	Programme Committee, IFIP TC 2 Working Conference "The Quality of Numerical Software: Assessment and Enhancement", 8 - 12 July 1996, Oxford, England. 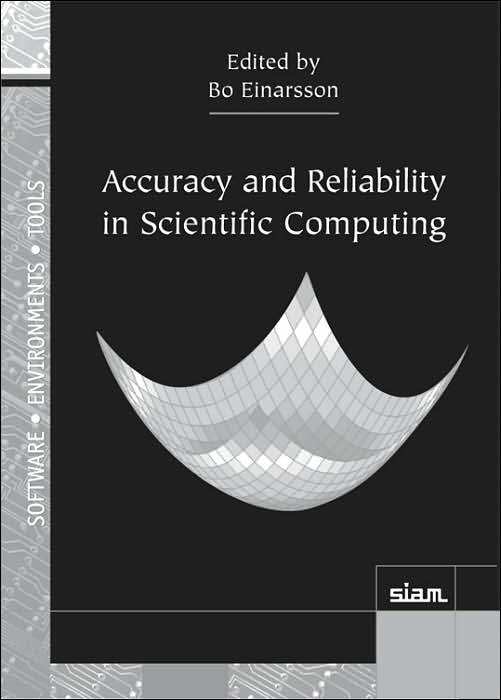 2000-2005,	Chairman and Editor,	WG 2.5 subcommittee on Handbook on Accuracy and Reliability in Scientic Computing. 2007-2011, Member, Program Committee,	IFIP TC 2 Working Conference "Uncertainty Quantification in Scientific Computation", Boulder, Colorado, USA, 1 - 4 August 2011. 1984-1995, Board Member of the Municipal Housing Company in Linköping Stångåstaden. 2003-2011, Board Member of the Municipal Company in Linköping Linköpings Kommunala Fastigheter, now renamed Lejonfastigheter. 2007-2011, Deputy Board Member of the Municipal Company in Linköping "FlygMex" or "Linköping Aviation Park". 1994-1997 and 1999-2015, Chairman of Linköpings Närradioförening (a local community radio station). Vice chairman from March 1997 until February 1999. On the space-, time-, energy distribution of neutrons from a pulsed plane source. AB Atomenergi, Report RFR-201, 1962. Primary Creep in Thickwalled Shells, Journal of Engineering Mathematics, Vol. 2 (1968), 123-129. Calculation of Equations of State by means of the Thomas-Fermi-Kirzhnits Model, FOA Reports, Vol. 2, No. 5 (1968), 1-22 (together with Nils Gyldén). Classical Calculation of Inverse Bremsstrahlung Cross Sections in Screened Potentials, J. Quant. Spectrosc. Radiat. Transfer, Vol. 9 (1969), 1117-1131 (together with Nils Gyldén). Numerical Calculation of Fourier Integrals with Cubic Splines, BIT, Vol. 8 (1968), 279-286. Errata in Vol. 9 (1969), 183-184. Numerical Treatment of Integro-Differential Equations with a Certain Maximum Property, Numerische Mathematik, Vol. 18 (1971), 267-288. On the Calculation of Fourier Integrals, Information Processing 71, Proceedings of the IFIP Congress, Ljubljana, 1971 (C. V. Freiman, Ed.). North-Holland Publ. Co., Amsterdam 1972, pp. 1346-1350. Numerical Solution of Abel's Integral Equation with Spline Functions, FOA 2 Report C 2455-11(25), February 1971. Testing and Evaluation of Some Subroutines for Numerical Quadrature, in "Software for Numerical Mathematics", Proceedings of the Loughborough University of Technology conference of the Institute of Mathematics and its Applications held in April 1973, Edited by D. J. Evans. Academic Press, London 1974, pp. 149-157. A Simple Method to Obtain Error Bounds for Ordinary Differential Equations, International Computing Symposium 1975, Antibes, France, 2 - 4 June 1975. Edited by E. Gelenbe and D. Potier. North-Holland Publ. Co., Amsterdam 1975, pp. 33-36. Use of Richardson Extrapolation for the Numerical Calculation of Fourier Transforms, Journal of Computational Physics, Vol. 21 (1976), 365-370. Solving a System of Linear Inequalities for Generating Test Data, Journal of Computational and Applied Mathematics, Vol. 3 (1977), 269-271. Some Remarks on Packages for Hyperbolic and Parabolic Partial Differential Equations Based on Finite Differences, FOA Report D 40057-M7, December 1979. Also IFIP/WG 2.5 (Novosibirsk-4) 604. Numerical Treatment of Compartment Models, Report LiTH-MAT-R-1984-25, Department of Mathematics, University of Linköping, Linköping, Sweden, November 1984. Tutorial on Analytical Methods as a Complement to Numerical Computing, BIT, Vol. 28 (1988), 383-390. Interpolation, Tutorial in the User's Manual to "The Scientific Desk", C. Abaci, Raleigh, N.C., 1989, pp. 4.4.1 - 4.4.4. Comparative Analysis of Nonlinear Dispersion Approximate Models of Wave Hydrodynamics, Report LiTH-MAT-R-2000-04, Department of Mathematics, University of Linköping, Linköping, Sweden, November 1999. Together with L. B. Chubarov, Z. I. Fedotova, and Yu. I. Shokin. Comparative Analysis of Nonlinear Dispersive Shallow Water Models, International Journal of Computational Fluid Dynamics, Volume 14, pp. 55-73 (December 2000). Together with L. B. Chubarov, Z. I. Fedotova, and Yu. I. Shokin. Representation of Floating-Point Numbers, in Encyclopedia of Applied and Computational Mathematics", edited by Björn Engquist, pp. 1251 - 1254, Springer 2015. Round-Off Errors, in Encyclopedia of Applied and Computational Mathematics", edited by Björn Engquist, pp. 1279 - 1282, Springer 2015. Remark on Algorithm 353, Filon Quadrature, Communications of the ACM, Vol. 13 (1970), 263. See the ACM Digital Library. Algorithm 418, Calculation of Fourier Integrals, Communications of the ACM, Vol. 15 (1972), 47-48 and Remark on Algorithm 418 Vol. 15 (1972), 469. See the ACM Digital Library. Remark. Remark on Algorithm 443, Solution of a Transcendental Equation, Communications of the ACM, Vol. 17 (1974), 225. Remark on Algorithm 24, Computing, Vol. 16 (1976), 291-292. The Applicability of Data Flow Analysis to Different Programming Languages, FOA Report C 20209-M4, November 1977. 25 March 1977, Electronics Research Laboratory, College of Engineering, University of California, Berkeley, California 94720. Available as R77-231 from the IEEE Repository or AD-A038 827/2GA from NTIS. Bibliography on the Evaluation of Numerical Software, Journal of Computational and Applied Mathematics, Vol. 5 (1979), 145-159. Mathematical Software and Programming Languages, Lecture Notes, November 1984. Fortran 90 for the Fortran 77 Programmer, A Fortran 77 to Fortran 90 Tutorial in English, ASCII text file, written together with Professor Yurij Shokin, Novosibirsk. Written 1993, updated 1994 and 1995. Hypertext version written 1995, continuously updated. Some Experiences from Teaching Fortran 90, Fortran Journal, Volume 8, Number 1, 1996 January/February, pp. 2, 4-6. Mixed Language Programming, Software - Practice and Experience, Vol. 14 (1984), 383-395 (together with W. Morven Gentleman). Mixed Language Programming Realization and the Provision of Data Types, SIGNUM Newsletter, Vol. 21, No. 1 and 2, (April 1986), 2-9. See the ACM Digital Library. Application of Mixed Language Programming, Proceedings of the Symposium on Scientific Software, May 31 - June 3, 1989, Tsinghua University, Beijing, edited by D. Y. Cai, L. D. Fosdick and H. C. Huang, pp. 27-64. Application of mixed language programming, Computer Physics Communications, Vol. 61 (1990), 150-162. Mixed Language Programming, Part 3, C and Fortran, Draft May 1991. Mixed Language Programming, Part 4, Mixing ANSI-C with Fortran 77 or Fortran 90; "Portability or Transportability?" Presented at the IFIP WG 2.5 International Workshop on "Current Directions in Numerical Software and High Performance Computing", 19 - 20 October 1995, Kyoto, Japan. Standardized Mixed Language Programming for Fortran and C, ACM Fortran Forum, December 2009, Vol. 28, Issue 3, pp. 8-22, written together with Richard J. Hanson and Tim Hopkins. 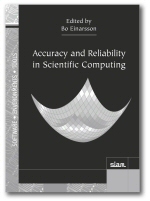 Book edited by Bo Einarsson, SIAM Press (Software, Environments, and Tools series, Volume SE-18), Philadelphia 2005. Försvarets Forskningsanstalt, numera Totalförsvarets Forskningsinstitut, 164 90 Stockholm, Tel 08-555 030 00. Grupptvärsnitt för transportekvationen, FOA 4 rapport C 4154-411, februari 1963, (praktikantarbete tillsammans med Bo Fredin). Beräkning av tillståndsegenskaper med Thomas-Fermi-Kirzhnits' modell, FOA 2 rapport C 2190-23, oktober 1967, (tillsammans med Nils Gyldén). Numerisk lösning av Abels integralekvation, FOA 2 rapport C 2275-11(25), oktober 1968. Approximation med ri-funktioner, Kompendium nr 39, Kursverksamheten vid FOA, oktober 1970. Fortran-rutiner för approximation med ri-funktioner, FOA 2 rapport C 2476-11, juni 1971, (tillsammans med Bengt Sjögren). TOODY, Datamaskinprogram för tvådimensionella vågutbredningsproblem och deformationsförlopp, FOA 2 rapport A 2580-D4, oktober 1973, (tillsammans med Bengt Sjögren). TODEP - Datamaskinprogram för tvådimensionella vågutbredningsproblem och deformationsförlopp, FOA Rapport C 20184-D4, juli 1977. Databehandlingens historia - Några intryck från Los Alamos konferensen 10 - 15 juni 1976, FOA Rapport C 20186-M7(M4), juli 1977. Beräkningar av splitterutkast från 155 mm spränggranat m/54, FOA Rapport C 20197-D4, augusti 1977, (tillsammans med Åke Persson och Sven-Olof Ståhl). Användarhandledning för programmet TODEP, FOA Rapport C 20308-D4, juni 1979, (tillsammans med Sven-Olof Ståhl). Några kommentarer om paket för numerisk lösning av hyperboliska och paraboliska partiella differentialekvationer baserade på finita differenser, FOA Rapport D 40057-M7, december 1979. Rapporten är på engelska. Beräkning av splitterutkast från spränggranater, del 3, FOA Rapport CH 20137-D4, januari 1980, (tillsammans med Sven-Olof Ståhl). Beräkning av stelningsfrontens fortplantning vid gjutning av sprängämne, FOA Rapport C 20341-D4, mars 1980. Beräkning av splitterutkast från spränggranater, del 2, FOA Rapport C 20375-D4, oktober 1980, (tillsammans med Sven-Olof Ståhl och Lars Westerling). FOA orienterar om C-stridsmedel, Liber Förlag, Stockholm, November 1981 (redaktör). Program för plottning av data och kurvanpassning (VISION4), FOA Rapport C 40187-A3,B2,C2, november 1983. Program för plottning av data och kurvanpassning. Programlistor, FOA Rapport D 40111-A3,B2,C2, november 1983. Smittspridning Inom Rumsligt Avgränsade Populationer, En modell för datorsimulering, FOA Rapport C 40221-B1,B3, september 1985, (tillsammans med Gunnar Boström och Mats Jansson). En första översikt av paket för numerisk lösning av partiella differentialekvationer. ITM arbetsrapport nr 9, oktober 1973. Översikt av existerande generella programbibliotek (inom numerisk analys). ITM arbetsrapport nr 10, oktober 1973. Inventering av numeriska programbibliotek, PM från ITM, (tillägg till ITM arbetsrapport nr 10), mars 1974. Utvärdering av matematisk programvara - en kombination av matematik, numerik, datalogi och informationsteknik. ITM arbetsrapport nr 19, april 1974. En jämförelse av FORTRAN IV och Fortran 77. ITM arbetsrapport nr 51, april 1978. Matematisk Programvara och Programmeringsspråk. ITM arbetsrapport nr 72, april 1982. Studier av stabiliteten hos reaktoranalogen vid reglering av ånguttaget, Chalmers Tekniska Högskola, Institutionen f�r Reaktorfysik, April 1962, 8 sidor. Mätning av vindgenomsläpplighet hos beklädnadsmaterial, FOA/SkyddS, manuskript tillsammans med Carl-Erik Seleborg och Claes Stenhede, 1964, 12 sidor. Numeriska metoder, del 2, Numerisk lösning av ordinära och partiella differentialekvationer. Kompendium utarbetat för kurs 253 vid FOA. Oktober 1970. Användning av ri-funktioner för numerisk lösning av integralekvationer, Foredragsresumeer, NordDATA-70, Scandinavian Convention Service, København 1970, sid 223-224. Approximation med ri-funktioner, Nordisk Matematisk Tidskrift, Vol. 21 (1973), 145-151. 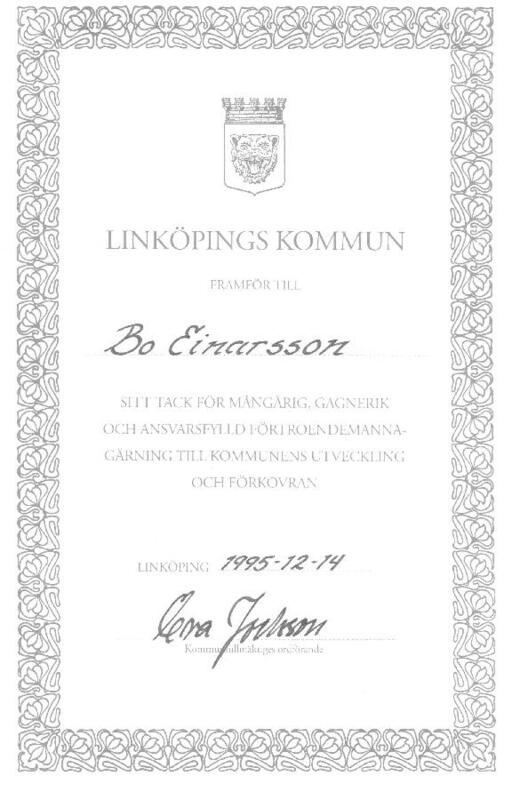 Tekniska Beräkningar, kompendium för doktorandkurs, juni 1988. Fortran 90 för den som kan Fortran 77, Matematiska Institutionen och Linus & Linnea, version 1.1, januari 1994, 110 sidor. Kort beskrivning av Sveriges första dator BESK, manuskript 10 januari 2005. Lärobok i Fortran 95, Matematiska Institutionen, version 4.0, juni 2007, 6 + 251 sidor (tryckt ex från Bokakademin), och uppdaterad version 4.5, december 2018, 10 + 263 sidor. Den finns även som hypertext i version 3.4. FORTRAN-90, Kniga dlja programmiruyushchikh na yazyke Fortran-77, Izdatel'stvo Sibirskogo Otdeleniya Rossijskaya Akademiya Nauk (Siberian Division of the Russian Academy of Sciences), Novosibirsk 1995. ISBN 5-85826-013-6. Cover and Title page are available as pictures. Last modified: March 9, 2019.